Kate Middleton and Prince William will be getting away from it all on New Year’s Eve. There’ll be no flashy London nightspots or dinner parties for this pair on December 31. The second in line to the throne and his wife will ring in 2012 at a sprawling country estate at Aberdeen in Scotland. I bet they can’t wait! The Duke and Duchess of Cambridge will mark the new year at Birkhall Estate which just happens to be owned by Will’s Dad Prince Charles. The celebrations are being described as a family affair. Charles and Camilla will also make the trip north. As will Kate’s parents Michael Middleton and Carole Middleton. There’s no word on whether Pippa Middleton or Prince Harry will also be joining the family in Scotland. 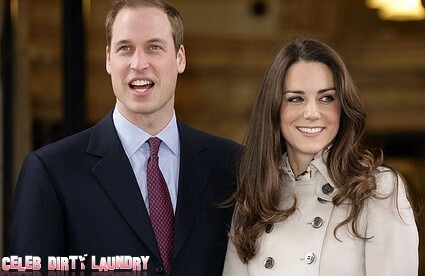 It’ll be a relaxing two day getaway for Wills and Kate after Christmas with the entire royal family. The couple will be able to let their hair down after the stuffy formalities and dinners at Sandringham with the Queen. The Duke and Duchess will have the use of a private cottage during their brief stay. They’ll be recharging their batteries ahead of a busy 2012. They already have an overseas trip locked in to mark the Queen’s Diamond Jubilee. They’ll travel to Malaysia, Singapore, the Solomon Islands and Tuvalu. Then there’s the subject of an heir. The popular pair are under pressure to have a baby next year. They’ll celebrate their first wedding anniversary in April by which time Kate could very well be pregnant.